"No thank you, I don't want any shots." "But you said you think it was a nail that cut you open...do you have any idea what tetanus lockjaw does to you? I've seen it, and it is terrible. There is no cure! I'm NOT letting you leave here without a tetanus shot." "I will clean the cut out with povidine-iodine three times a day, I've had worse wounds than this. Besides, I had a tetanus shot within the last decade." "Looking at your medical records right here, you haven't had one in twelve years. If you don't think you need it, than why did you come here?" "Well, I thought I may have needed stitches, and I wanted to make sure the tendon had not been damaged." "Ok....I still say you need a tetanus shot. You can still clean it every day with the Povidine surgical scrub, and in fact that is a good idea...but the tetanus may already be in your blood stream. You HAVE to get this shot! Of course I can't force you, but I'm telling you, you really should get the tetanus shot! Trust me, lockjaw is nothing to fool around with!" "*Sigh*....alright, I'll take the shot"
"Perfect. I'll send the nurse in with it in a few minutes." Letting the emergency room Doctor break down my resolve and convince me I needed the shot was a decision I would soon regret for months to come. In my state of surrender and submission to his dogged insistence, I blithely signed the permission form in abject defeat without reading it, then gritted my teeth and let the nurse stick me with the vial of what I thought was just a tetanus shot. Only after she withdrew the needle and bandaged the injection wound, did I bother to look down and read the release form I had signed just prior to the inoculation. "Wait a minute...this isn't a Tetanus shot, it's the DTaP Vaccine?!!?" Why did I have to get the vaccine for Diptheria and Pertussis too?" "They don't make a single Tetanus shot anymore. Besides, now your inoculated against Pertussis...you do know that it's been going around lately, don't you?" Had I known you were giving me the DTaP vaccine, I would not have let you give me the shot!" "You signed the release form where it clearly states you are receiving the DTaP, sir. It's too late now..."
The nurse rolled her eyes at me and stalked out of the treatment room with an air of contempt. "Ah well, what's done is done," I thought to myself as I left the hospital. If only I got off that easy. I spent the next two months suffering from an immune system that had gone haywire from the triple-dose vaccination. 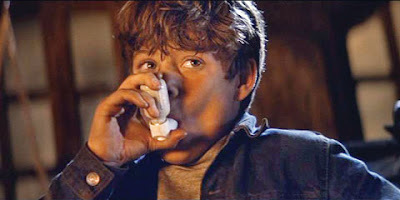 Every little potential allergen I encountered would cause severe reactions from an uncontrollable runny nose and puffy, watery eyes, to incessant asthmatic episodes causing me to go through my medication like candy. Prior to the injury that lead me to submitting to the Pharmaceutical-Healthcare-Industrial-Complexes inoculation protocol, I had largely brought my lifetime conditions of allergies and asthma under control through careful, mindful eating of real food,and a vigilant routine of keeping my domicile as clean as possible. In the past five years, an asthma rescue inhaler would last me six to eight months. I rarely had to use it...perhaps a dose or two once a week or so. Prior to the lifestyle changes I embarked upon since joining the Paleo-tard Cult, I had to use the damn thing about three to four times a day. After getting vaxxed, I was using it six to eight times a day, just to keep breathing clearly. I also went through cases of kleenex dealing with incessant allergy attacks. A whiff of a strangers perfume or cologne...some errant auto exhaust, or the tendrils of cigarette smoke were all it took to trigger an asthma and/or allergy episode. Just the dust kicked up from scooping my chicken feed from the bin was enough to trigger an allergic event that had me scrambling for my rescue inhaler. In addition to my hyper-sensitivity to allergens, I also contracted two different head/chest colds that had the latter episode turn into a case of bronchitis, as well as a bout of stomach flu. These are things that I have not experienced in years, prior to getting that damnable injection. Which of course led me to once again donning my tin foil-constructed Conspiritard cap and log on to teh Interwebz and do some research. This time I went far more in-depth on the topic of vaccinations than I had before...and what I found was indeed mind bending. We are a CONSPIRACY Cult, because many of our tenets and proscriptions are based on the realization that there does in fact exist entities and organizations that are in fact profiting off of making sure the average person eats the wrong foods and suffers the ill effects so that they can make themselves rich selling you pharmaceutical treatments that alleviate or mitigate the symptoms for those conditions. These entities are in the Government, the media and the educational institutions, as well as various industries. What I think I've discoverd goes far beyond that initial supposition I had back then. Effects of diphtheria-tetanus-pertussis or tetanus vaccination on allergies and allergy- related respiratory symptoms among children and adolescents in the United States. Findings from animal and human studies confirm that diphtheria and tetanus toxoids and pertussis (DTP) and tetanus vaccinations induce allergic responses; associations between childhood vaccinations and subsequent allergies have been reported recently. The association of DTP or tetanus vaccination with allergies and allergy-related respiratory symptoms among children and adolescents in the United States was assessed. Data were used from the Third National Health and Nutrition Examination Survey on infants aged 2 months through adolescents aged 16 years. DTP or tetanus vaccination, lifetime allergy history, and allergy symptoms in the past 12 months were based on parental or guardian recall. Logistic regression modeling was performed to estimate the effects of DTP or tetanus vaccination on each allergy. Reading this brought back a jarring memory. I have always told everyone that I have had a "lifetime" of asthma and allergies. That I was born with it. Only I wasn't. It only seems like it because I've been suffering with the affliction for almost four decades. But what I had forgotten...and now remember quite clearly, was my first real asthma attack that required an emergency room visit. I had been running around at recess playing kickball with my classmates when I was in the Fourth Grade while attending my local public school, and after taking my seat at the start of the next class period, I realized I was wheezing and had an acute shortness of breath. I had to go to the school Nurses office and my Mother had to come and pick me up and take me to the emergency room. After receiving an albuterol updraft treatment, I was given my first prescription asthma rescue inhaler. This memory coincides with another one I had from that same time period. Just prior to that first asthmatic event, I had stepped on a nail when my friends and I were playing at a construction site near our neighborhood. My Mother took me to the hospital where I received a tetanus shot. I know my memory as far as my age is not suspect on this, because one of the things my Mother gave me when I became an adult and moved out on my own, was my immunization records that I still have in my safe with all my other legal documents. I checked before writing this....and sure enough, the date of my tetanus shot coincides with my time in the fourth grade...i.e. I was nine years old at the time. "DTP or tetanus vaccination appears to increase the risk of allergies and related respiratory symptoms in children and adolescents." The realization hit me like a lightning bolt. All of the suffering, middle-of-the-night emergency room visits, all of the drop-outs from events and activities because of my "condition" as a kid. The several hospitalizations I've endured when the rescue inhaler was not enough to stop the attacks. The endless experiments with a multitude of medications with a wide array of side effects, some unpleasant and others downright debilitating; all of it, most likely caused by that vaccination I initially received when I stepped on a nail as a little boy. Over thirty years later, after getting vaxxed again, and suffering the auto-immune responses for months after, I for one am thoroughly convinced. 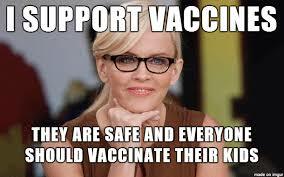 I stand with the much vilified and ridiculed Jenny McCarthy. Wackaloon....I like it. Sounds almost as catchy as Conspiritard....but I digress. 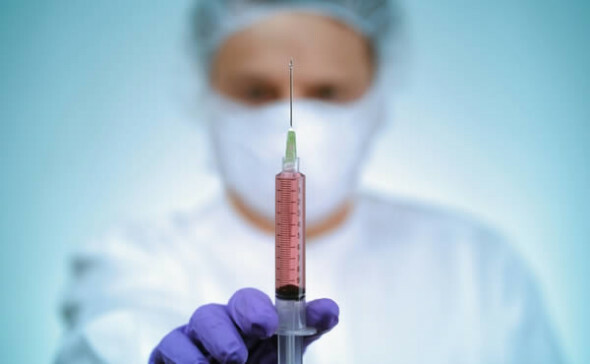 My recent research on the topic of vaccinations had me delving into the history of the practice and events that have been linked to the practice of injectable "preventative medicine." As I am a veteran navigator of the fetid fever swamps of the Conspiritard fringes of the interwebz, I found a plethora of websites that attributed a number of historical events that are officially considered organic "outbreaks" of deadly and debilitating diseases...like the Spanish Flu and Leprosy, to the more modern era epidemics of AIDS, ebola, swine flu and bird flu... all linked to the practice of malevolent and diabolical "preventative medicine" by injection. Anyone interested in looking into the same corners of the fetid fever swamps of Conspiritard land that I did, should start here: Online Books by William Tebb. To summarize....from a mind shielded by my hand-fashioned tin foil barrier from the hysteria inculcated by mass media and converged institutionalized indoctrination, and understanding the way in which the controllers of our Brave New World Order use Abracadabra and their satanic principle of inversions, I've come to the inescapable conclusion in my Vaxx-fevered mind, that the very thing we are supposed to gaining protection from by getting vaccinated, is it's precise source! Of course, I must end this post with the obligatory disclaimer. I am not a Doctor, nor do I play one on teh Interwebz. Don't take your healthcare management advice from me. I'm just a Wackaloon Conspiritard that dares to do my own research and think for myself and ignore the conventional wisdom of mass media approval and the scientific-community-consensus. > What I think I've discoverd goes far beyond that initial supposition I had back then. This is something I've noticed as well. We're called conspiracy nuts for stating facts, but frequently the facts we state only scratch the surface. In reality, the situation is often far, far worse than the worst-case scenario us "conspiracy nuts" can come up with. It's surreal. Please check out www.noamalgam.com for more details on chelation and Mercury illness. This is a real issue and you need to address it immediately. You can also email me at kurt@metatechnica.com as well. Mercury poisoning and vaccine injury is a real and serious issue. Please do not ignore it. Yep. Plus, you ain't Mikey either. I feel your pain. Nonetheless, if the wound was serious enough to be of real concern, it might have been the right decision.
) on vaccines suggests administering one for tetanus. But it is indeed a scandal (and highly manipulative) to not provide shots that are just for tetanus. You forgot SIDS (Sudden Infant Death Syndrome). I have one son buried at a children's section of the local graveyard and looking at the headstones (I know not very scientific) you'll see that for a lot of them the deaths line up pretty well with the vaccine schedule. @ Kurt9 - Thanks alot, I definitely look into it! @ Shimshon - Looking at the most recent vaxx schedule from my healthcare provider shows nothing but multi-vaxx shots...except for flu shots and chicken pox. 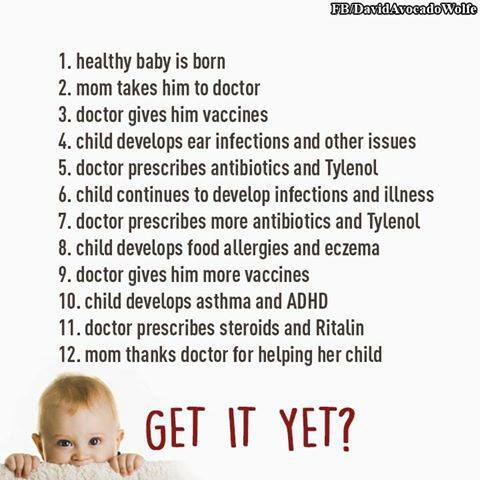 @ Gunner451 - I did not forget, I just covered that aspect in the previous post I did on vaccines. Nevertheless, sorry to hear about your loss. It's funny, all of the propaganda, all of the memes and all of the arguments aside, testimony of parents who all say their kids were never the same after getting vaxxed, or those who say their kids died from getting them all KNOW it was the vaccines...but they are dismissed as irrelevant anecdotes. As far as I'm concerned, I will NEVER get another vaccine again, nor will anyone in my immediate family for that matter. I have not done anywhere near enough research, but I wonder if there are any good vaccines? Polio for one, comes to mind. Supposedly I also have had a "compromised immune system" since "birth" (had measles twice before six months old, which a doc told me 40 years later, "You're NEVER supposed to get measles twice; your problems began right then & there"). But there were no measles vaccines until the early 1960s, as best as I could determine online, so it couldn't have been that. So when I heard Broer's interview, I looked up what year did DTaP begin, & found a vax site with a timeline of all vaccines, & it said hospitals began giving DTaP in 1947. So maybe that was it since I was born in the early 50's. But who knows for sure at this late date. Encephalitis, the frying of the brain (due to whatever cause), can screw up EVERY bodily system since they all "originate" or operate-out-of the brain: immune, endocrine, gastrointestinal, neurological, cardio-vascular, etc. I empathize with your later-in-life search for early-life-explanations/causes of your ailments. Been There/Done That & still doing it! So hang in there. Everyone, no matter what age, whose mothers are still living, should get as much info as possible re their infancy because it CAN come back to "bite you" in adulthood. Uncle Bob makes some good points. I would love to read some comparisons. I rather think that vaccines have their place but when the medical vaccination industrial complex tricks and forces people into being vaccinated then that is an indication that the industry really believes their own propaganda. On a scale of problematic vaccines, DTaP (Diptheria, Tetanus and Pertussis) is an odd one. Two of its components (Diptheria and Tetanus toxoids) are unusually safe. The third one (Pertussis) is problematic and well.. always has been. In most parts of the world , they use DT instead of DTaP in adults- precisely for that reason. Infact, having a history of allergies is usually a contraindication for using DTaP in adults- unless it is really necessary (high risk of exposure to active cases of Pertussis). I wrote a post, almost three years ago, about the role of the profit motive in pushing indiscriminate vaccination schedules in USA (https://dissention.wordpress.com/2013/10/06/the-anti-vaccination-movement-is-one-outcome-of-profit-driven-medicine/). Kid #2 had a big make-up round of vaccines when he was 2 1/2, bad reactions, 2 months later had a tumor on his throat, lymphoma. 6 months in the cancer ward. No, kid #3 has never had a vax. Nor will he. FYI, your blog feed (right side of page) is not updating linked non-google blogs for the last few days. I am guessing that this has something to do with a recent tweak by google or something.. Thanks for asking Michael, I'm okay. Been working like crazy in teh Real Life this entire year, hence the very sporadic and sparse blogging. Self employed entrepreneurial endeavors combined with homeschooling, take up most of my time now. Been looking around for the Alpha Lipoic Acid mentioned as a mercury chelation agent from kurt9's reference above. As soon as I find some, I aim to give it a try. I still have a degraded quality of health since I got that damn shot. I did not realize just how much improvement in my immune system I had experienced in the past half decade until the vaxx set me back to where I was when I was at my most unhealthy eating sheeple feed and working as a sedentary cubicle rat in corporate business world. Would you shoot me an email or drop a comment on my blog? Got something you might be interested in. You see, Your Government Is In Control Again and the Medical Powers That Be think that antibacterial soaps are the cause of bacterial resistance, rather than all of the "antibiotics" being prescribed for non-antibiotic purposes. Many statins started out their lives as candidate (often sulfonamide) antibiotics, and so did several ACE inhibitors. Wind up at any American hospital with septicaemia or some other blood-borne disease that drives your blood pressure through the roof and before you know it, you're getting stuck on this stuff, for instance. There are quite literally (and not just figuratively) tens of millions of people in America who dose up daily on powerful antibiotics that have been re-approved for what would otherwise have been off-label use. There are plenty of doctors who will prescribe some of these drugs with off-label uses, and that also drives up the frequency of bacterial resistance. Living a while in a tropical environment makes you appreciate the existence of antibacterial soaps. Right now I'm buying up about a thousand bars of this stuff, which is what I figure I'll need either to ride out the FDA's insanity or to get my stuff ready to get out of the Universal States of Amnesia. But the ban may not stop there -- the povidone-iodine solution you were using to scrub up your wound may also be banned under the new FDA regulations. Benzalkonium chloride wound wash may also wind up being banned eventually as well. That's why I'm also stocking up on various forms of wound wash. I had no idea that they were now combining the tetanus shot with the vaccine for diptheria and pertussis. That is a little sneaky. I got vaccinated in my 20's so that I could attend a university. I remember getting many of the symptoms too. It was miserable! I hope you are feeling better.